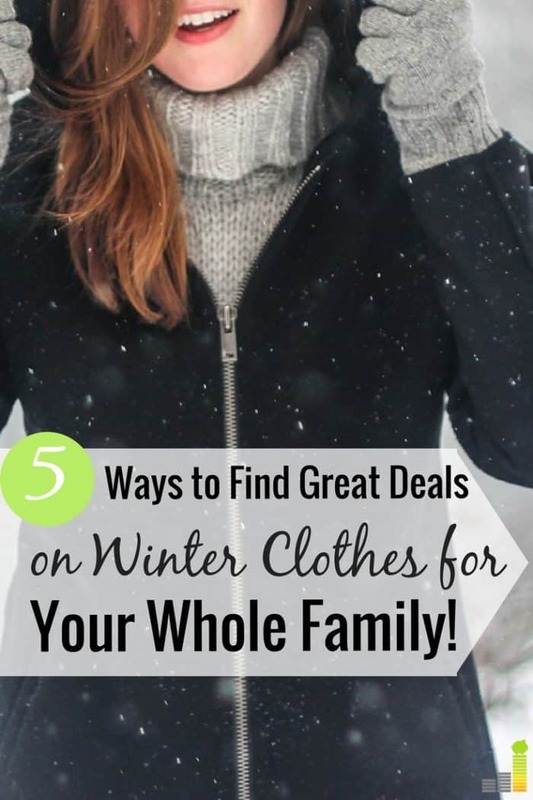 I spent my entire childhood living in Louisiana, which means I never had a need for cold weather clothes, let alone a need to find great deals on winter clothes. Sure, I had a coat or two for the rare days in February that required it. However, I didn’t have to invest money into a full winter wardrobe. Essentially, I didn’t have to find great deals on cold weather clothes because I grew up in the swamp! Fast forward a few years, and I now live in Detroit, Michigan. Detroit is most definitely not a swamp, and it get’s cold here, people! Since I had no idea, I had to ask friends what type of clothes to buy to brave these winters. I had to purchase thermal underwear, layers, coats, hats and gloves that can keep my family warm during the cold winter days. I especially had my eye on keeping my little princess warm. My daughter seems to be cold all the time even on warm summer days, so I really did the research for her well being. Through my research, I found that good winter clothes aren’t cheap. Even a pair of smartwool socks can be $15 for children! So, I quickly realized I’d have to put my frugal thinking cap on if I was going to get some great deals on cold weather clothes. Whether you’re saving money for a baby or just trying to save on the expenses you have for your kids and family every day, being frugal doesn’t make you a bad parent; it makes you a smart one! Here are some of the methods I’ve used to find great deals on winter clothes, and I hope they help you too. Costco is a remarkable place as many of you know. There are deals to be found all over Costco, especially when you apply a few of the Costco money saving hacks we’ve shared before. They carry high-quality goods at affordable prices. We purchased all of our thermal layers at Costco and like so many other items at Costco, they were very inexpensive. I think long, thermal undershirt layers were only about $11 or $12 a piece. The one trick to remember about Costco is to think ahead of season when you’re shopping for winter clothes, as Costco will probably set them out near the end of summer or beginning of fall. If you wait until winter to find cold weather clothes at Costco, you’ll find their supply picked clean. I mentioned smartwool socks because they are my favorite brand and never fail at keeping toes warm. In the spring, I got an e-mail from them saying their winter socks were on sale. So, I bought two pairs each for the kids at about 75 percent off. It snowed in April here in Michigan so we were actually able to put them to good use. Here’s hoping we don’t have to do that again this year! Still, keep in mind that shopping in the off-season is a great way to save money on kids clothes, especially when it comes to winter clothes. I am a bit addicted to online re-sale apps. In addition to using Amazon to save on kids clothes, I’ve used ThredUp, Kidizen, Mercari and PoshMark to purchase winter clothes. Last year I bought tons of clearance items at ThredUp for my kids. It cost me a few dollars an item to get them nice, name brand sweaters and leggings. My most recent purchase was a pair of black boots for myself. The seller had never worn them! So, just because you are shopping in an app that features gently used clothes, remember that some of them might be sitting in closets with the tags still on them! Clothing swaps are another great way to save money on winter clothes; you get new clothes without spending any money at all. Here’s how it works. You arrange a clothing swap with your friends, and no, they don’t have to be the same size as you. Ask several different friends to bring clothing and accessories they no longer wear to the home of the host of the clothing swap. Then, once everyone has brought their items, you go shopping and pick out what you want. No money exchanges hands and anything that doesn’t get picked up gets donated. The last time I went to a clothing swap, I got a ton of sweaters, coats, and even a few books, all for $0! I haven’t purchased clothes on Facebook Marketplace yet, but I did buy my couch there. I’m starting to love Facebook Marketplace as a means to save money, even more than apps or Craigslist, and I’ll tell you why. When it comes to Facebook you can actually see the person you’re buying from. I recently sold an iPhone and I could see exactly what the person looked like who would be picking it up. It’s a great way to buy and sell used items and feels a bit safer than blindly pulling up to a stranger’s house to buy something they put on Craigslist. 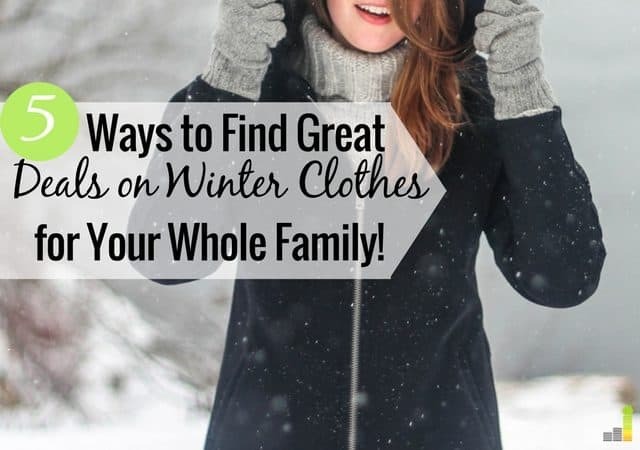 Needless to say, there are many different ways to stock up on some winter wardrobe items without breaking the bank. I’m sure it’ll take me a few years to get everything I need for the freezing temperatures up here, but I’m definitely off to a good start! Where do you like to shop for cold weather clothes? Have you ever tried any of the methods mentioned above? How do you save money on clothes, yet still find quality?